Are you a baker who makes their bread and butter producing cookies? The FDA Food Safety Modernization Act (FSMA) Preventative Controls for Human Food requires commercial bakeries to provide validation of process controls such as thermal kill steps.1 Compliance dates for some businesses began in September of 2016. The good news is a new Kill Step Validation Calculator has been created specifically for both soft and crispy cookies. What does the FSMA require? How can bakeries provide validation of an effective thermal kill step? In cooperation AIB, The University of Georgia, American Bakers Association, and Kansas State University conducted research to confirm the steps necessary to validate baking as a kill step in controlling Salmonella in hamburger buns. The researchers wanted to assure the quality of the baked hamburger bun would remain the same with the validation of the kill step. The study demonstrated that the typical hamburger bun baking process will eliminate Salmonella serovar populations (>6-log CFU/g reductions) utilizing oven temperatures ≥218.3°C (425°F) and baking for at least 9 min.4 See figures 1 and 2 below. Using the Cookie Kill Step Calculator will bring your bakery into compliance with the Food Safety Modernization Act. This tool allows bakers to monitor, validate and record critical control points in the bakery. Knowing your ovens are functioning properly for perfectly baked cookies assures your customers are happy and safe. “Baking Process Kill Step Calculators – Empowering Bakeries to Validate Their Food Safety Preventive Controls.” AIB International. AIB, 4 Nov. 2016. www.aibonline.org/aibOnline/develop-your-product-solutions/baking-process-kill-step-calculators.aspx. Accessed 02 March 2017. Channaiah, Kantha “Kill-Step Validation of the Baking Process to Comply with FSMA Rule.” IBIE2016. PowerPoint file. “Procedure for Recording Temperature Profiles in a Commercial Oven – Soft Cookie.” AIB International. 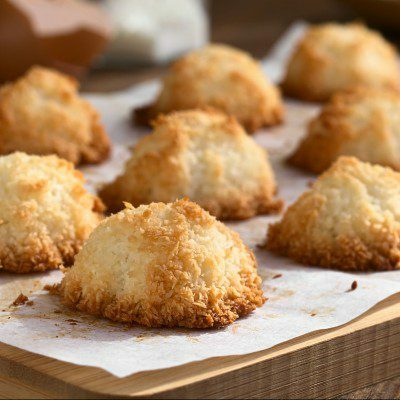 www.aibonline.org/KSV/SoftCookies.pdf. Accessed 02 March 2017. Dr. Kantha Channaiah is the Director of Microbiology for AIB International. He has held this position since 2013, with primary duties related to designing & executing kill-step validation research projects, teaching and offering training for microbiology seminars, providing environmental monitoring program consulting services, and generally assisting AIB Food Safety Services for all microbiology-related queries. Kantha’s work is informed by more than fifteen years of related experience in the fields of microbiology and biotechnology, food and beverage industries, research and development, academics, designing and establishing labs, supervising, teaching, training, HACCP, GMPs, regulatory compliance, post-harvest grain storage, handling pathogenic bacteria, molds, mycotoxins, technology development, environmental monitoring, kill step validation, and consulting. 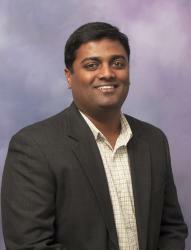 In addition to his work with AIB International, Kantha currently serves as adjunct faculty at Kansas State University.